Ron graduated from Hope College in Holland Michigan with a degree in Economics and Business Administration and received his law degree from the University of Michigan. 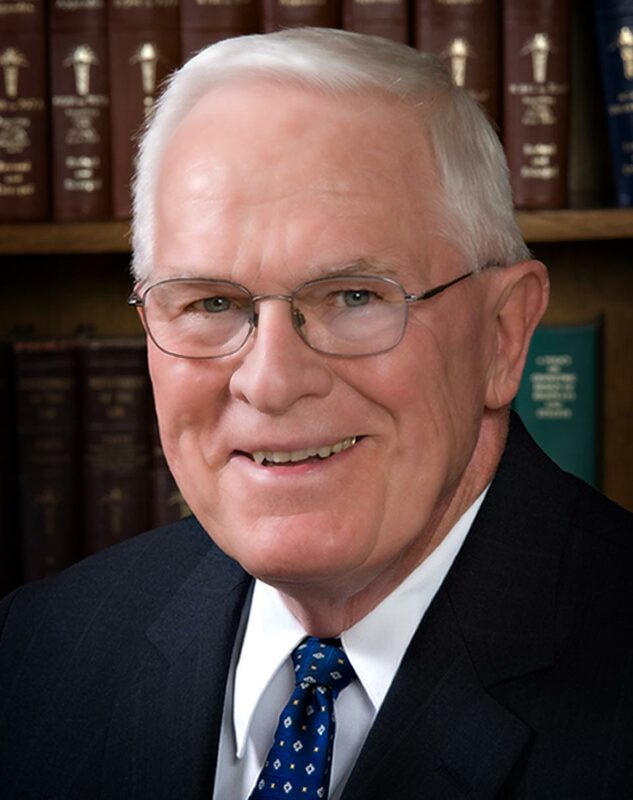 A native of St. Joseph Michigan, Ron started practicing law with Lewis Schroeder and Joseph Schroeder in 1959. Ron has always enjoyed a challenge whether it be large or small. His practice extends to several areas of the law, but he primarily works in the areas of estate planning, probate and trust administration, business matters, litigation, health care, real estate, taxation, condemnation, and contract law. Condemnation actions including highway, pipeline and electric line right of ways. This included over six miles of I-69 highway right of way, resulting in what were then the two largest condemnation awards in Calhoun County. Authoring one of the first City-Township Master Agreements for Development under Section 425 of the Public Acts of 1984 (city and township “425 agreements”) and incorporating a joint city-township planning commission. Assisting families with trust, probate, Medicaid, tax, and business succession matters. Representing land owners in the negotiation of oil and gas leases and the sale of mineral rights and underground storage rights. Negotiating the sale and merger of corporations and other business entities. Ron is a member of the Michigan Bar Association, Calhoun County Bar Association, and is licensed to practice in the State of Michigan and the United States Tax Court. Ron has always been active in his community. Many of his, and his wife Jayne’s, contributions have been behind the scenes or passed without recognition at their choosing. Among his many successful challenges are leading the campaign to prevent the closure of Oaklawn Hospital which is now Marshall’s largest employer, co-chair of the fund raising group that built the Marshall High School Football Stadium, chairing successful Marshall Public School millage campaigns, and his guidance in creating the Cronin Foundation a private foundation that now has assets of over Ten Million Dollars.